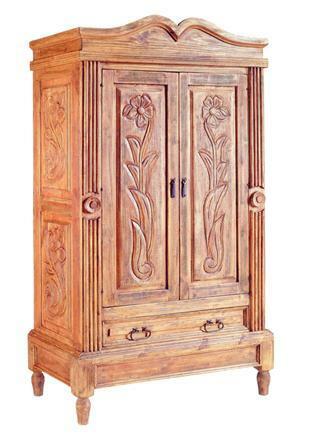 We think the combination of solid wood in dark stain with wrought iron accents makes this a show-stopping winner! Can you see these gorgeous vertical lines punctuated by the iron curves and the rich color in your Mexican home? We hope so. This piece works beautifully with hacienda decor as well as with and dark-stained rustic contemporary pieces. If you like the texture, environmental friendliness and added personality of reclaimed pine wood, please consider adding reclaimed pine as an option. 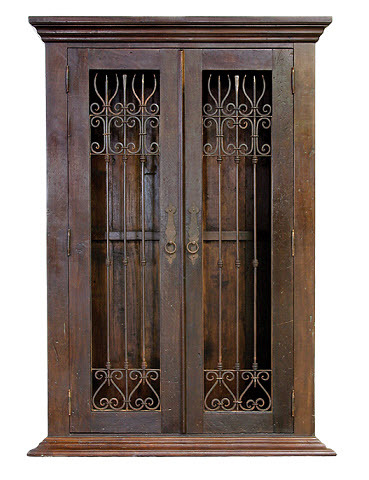 You may want to place this beauty in your Mexico bedroom as an armoire, in your Mexican dining room as a hutch, or in your living room as storage for books, DVDs, games to entertain your guests and renters.